Sometimes armature photographers too capture images and videos that provide useful information for a follow up after a crime scene or accident. And this is exactly what happened when a Hawaii air plane crashed off the coast of Hawaii - and the crash was recorded by a tourist camera. Ferdinand Puentes was among the handful of tourists who were flying off the coast of Hawaii early last month when, amid a barrage of beeping, sirens and a loud bang, he and his fellow passengers realized their Makani Kai Air plane was going down. 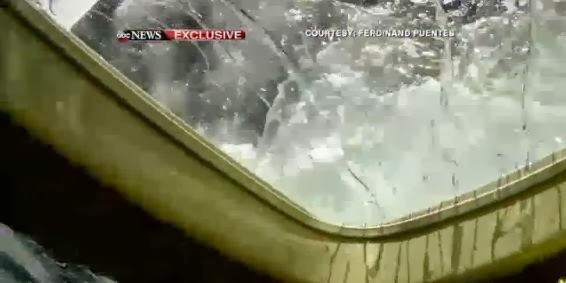 Puentes kept his wits about and instead of panicing, captured the surreal scene aboard the aircraft with his GoPro camera as the Cessna splashed down, sending water trickling down the windows.